When the news that Cisco was going to be laying off workers made the news, people in the Triangle got nervous. Initial reports said the RTP location wouldn’t see any loss of employees. This was, after all, right after the company had announced it was bringing 550 new jobs to RTP. But, the hammer did eventually fall and unfortunately 250 workers lost their jobs. But, now there is a small glimmer of hope for people recently out of the job. The Research Triangle Park and the Durham Chamber of Commerce have teamed up with American Underground to offer a hand up to laid off tech employees that have an entrepreneurial idea. Whether it’s a piece of hardware that might change the way we work, or a completely new business idea, American Underground wants to provide any laid off employee with an idea with the space and top-notch mentoring resources to get their idea off the ground. The steps to get there are easy, and the first one is filling out a simple Google form. 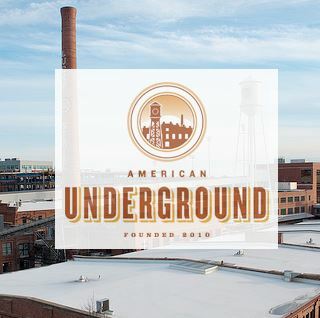 The American Underground’s three locations (two in Durham, one in Raleigh) will reserve a total of ten free spaces at their coworking facilities. Interested staffers will be asked to complete a brief Google Form explaining what they intend to work on. The first 50 people to apply will be eligible. A team of startup veterans and the American Underground’s programming partners will review the applications and accept ten. Each of the ten spots will operate on a three month cycle. After three months, each person will have the opportunity to re-up (at a special rate) or exit. It’s not solving the problem for everyone that lost their job, but if we can keep even ten talented minds in the Triangle, the project will be a success. The Research Triangle Park was founded to not only create jobs, but also to retain the talent that was developed here. Partnerships with our neighboring organizations help us do this, and in turn help make our collective community stronger.